Discover a serene oasis behind tall garden walls: a haven for birds, butterflies & those who appreciate the rare, the historic. 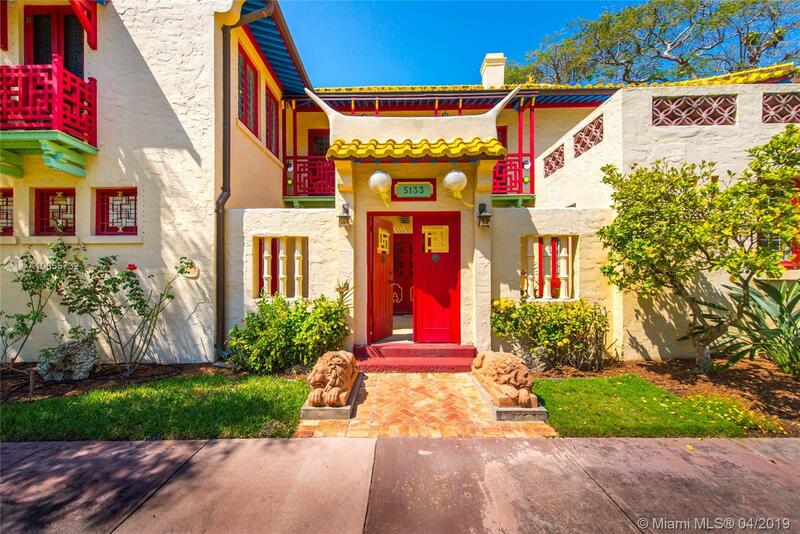 An architecturally unique home located in Coral Gables landmark Chinese Village, a collection of 8 homes designed in 1923 by acclaimed architect, Henry Killam Murphy. Light-filled living spaces, meticulously restored with attention to every detail. Notable features include: high ceilinged rooms, polished wood floors, original leaded glass windows, classic stone fireplace, private courtyards & screened pavilion. Detached, 936 SF studio-workshop for artist, musician or potential to create a guest house. Ultra-private garden w/rare palms & trees, tranquil koi pond & winding pathways surround the home. Close to UM, Metrorail and downtown Coral Gables & South Miami.